How to Easily Rip/Convert DVD Divergent to Google Nexus 7 with Ease? 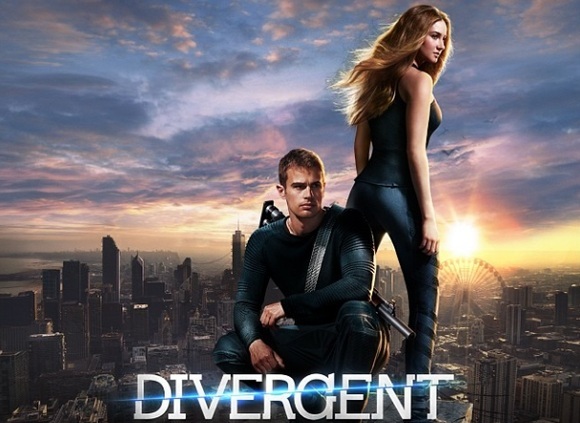 Divergent, an American science fiction action film, got US $56 million box office worldwide at the first week after being released several moths ago. Since its DVD has been released now, if you are one of those who didn't go to cinema before, here we will teach you how to rip Divergent DVD to Google Nexus 7 so that you can play/watch Divergent DVD on Google Nexus 7, iPhone, iPad, etc anywhere. It is told that the society is divided into five factions in Chicago including Candor, Erudite, Amity, Dauntless and Abnegation based on people's personalities. Every kid will accept the aptitude test in a fixed date when she/he is at the age of 16 and will be informed the choice in the Choosing Ceremony. The actress Beatrice is also facing such choice who owns three factions at the same time. As a divergent, how will she make decision especially who wants to stay with her families? It is the new tablet from Google featuring the world's sharpest 7" tablet screen and 1080p HD display. At just about 290g, Google Nexus 7 is light enough to take to anywhere. The supported video playing formats are AVI, FLV, MP4, MKV, etc. Get more of Google Asus Nexus 7 supported formats. It is widely believed that this is one of the most suitable devices to play Divergent DVD on the move. But how could users convert Divergent DVD to Google Nexus 7 with the best Divergent DVD to Google Nexus 7 ripper? Divergent DVD is encrypted by region code and other copy protections so that you can't copy it painlessly. Therefore, you need the help of WinX DVD Ripper Platinum. With the help of adcance DVD decryption technologies, including DVD CSS, region code, RCE, Sony ArccOS, UOPs, Disney X-project DRM. Built in over 300+ preset profiles, it is capable of ripping DVD to many pads and mobile phones, such as Google Nexus 7, iPhone 6S/6, Samsung Galaxy and HTC New One. Download WinX DVD Ripper Platinum, install and launch WinX DVD Ripper Platinum for PC or WinX DVD Ripper for Mac. Insert the source DVD and load DVD content by clicking "DVD disc". Select the Google Nexus 7 in the output profile pop-up dialog box: Output Profile -> Android Pad -> To Google Pad Video -> Google Nexus 7. Select the destination folder for the targeted output video file by clicking "Browse". After a few of clicks, you can easily rip Divergent DVD to Google Nexus 7 and play Divergent DVD on Google Nexus 7 without any limitation. And if you have Google New Nexus 7 pad which makes you perfectly enjoy HD movies and videos on the widescreen display, the converter of WinX HD Video Converter Deluxe will help you convert HD movies and videos to any portable device with ease. Note: The software developer only advocates ripping/converting Divergent DVDs for personal use only and suggests referring to the DVD copyright laws in your countries before doing so. WinX DVD Ripper for Mac: Mac version WinX DVD Ripper Platinum, rip any Disney DVD on Mac OS X Yosemite, copy DVD on Mavericks/Mountain Lion/Tiger/Leopard/Snow Leopard., convert DVD to MP4, H.264, MOV, M4V videos that are playable on Mac computer, as well as DVD to iPhone, iPod, iPad, Apple TV, iTunes, iDVD, iMovie, Final Cut Pro, Air Playit, Android, etc. WinX HD Video Converter for Mac: Professional HD Video converter for converting HD Videos on Mac OS, provides the perfect solution to convert Blu-ray videos and videos from HDTV and HD camcorders, like JVC, Panasonic, Sony and Cannon to other formats. Also act as a Mac screen and camera video recorder, slideshow maker, YouTube video downloader, etc. Running perfectly on Mac OS X Yosemite/Mavericks/Mountain Lion/Tiger/Leopard/Snow Leopard. The ultimate DVD ripper software capable of ripping the content of DVDs to a wide range of mainstream video formats, such as AVI, MP4, MPEG, WMV, MOV, FLV, 3GP, etc. Users can also painlessly rip DVD (even encrypted DVD) to iPhone, iPod, iPad, iPod Touch, Apple TV, Android, Surface Tab, Galaxy Tab, HTC, Samsung, Google, mobile phones, Sony PSP, Zune, etc.